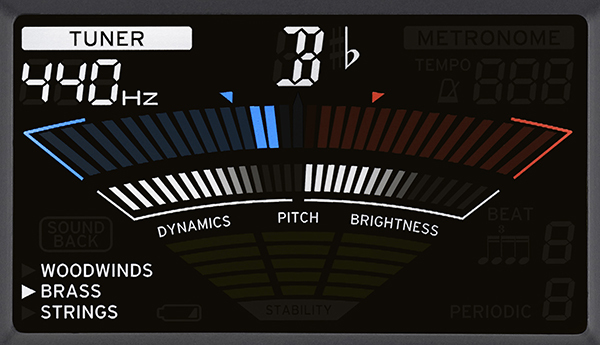 In addition to the existing high-precision tuner functionality, the TM-50TR adds a new Tone Trainer function which analyses your playing sound in more detail. 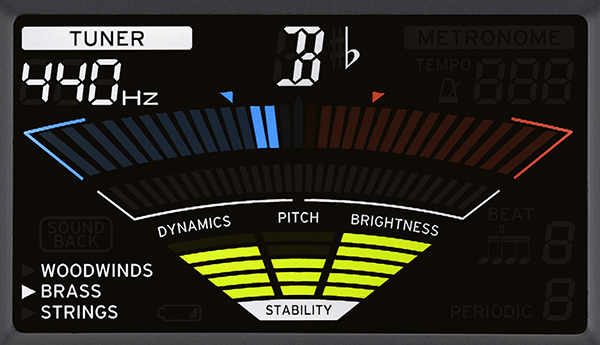 It detects not only the pitch, but also the volume and brightness of your tone, as well as the stability of these aspects, making it much easier to evaluate your own playing and practice more efficiently. Of course the TM-50TR also provides Sound Out and Sound Back functions that are great for improving your sense of pitch. 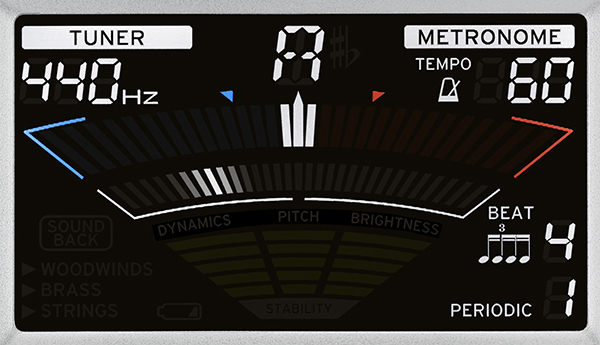 Additionally, its metronome capabilities feature a new "periodic" metronome function that can help you practice keeping the rhythm. 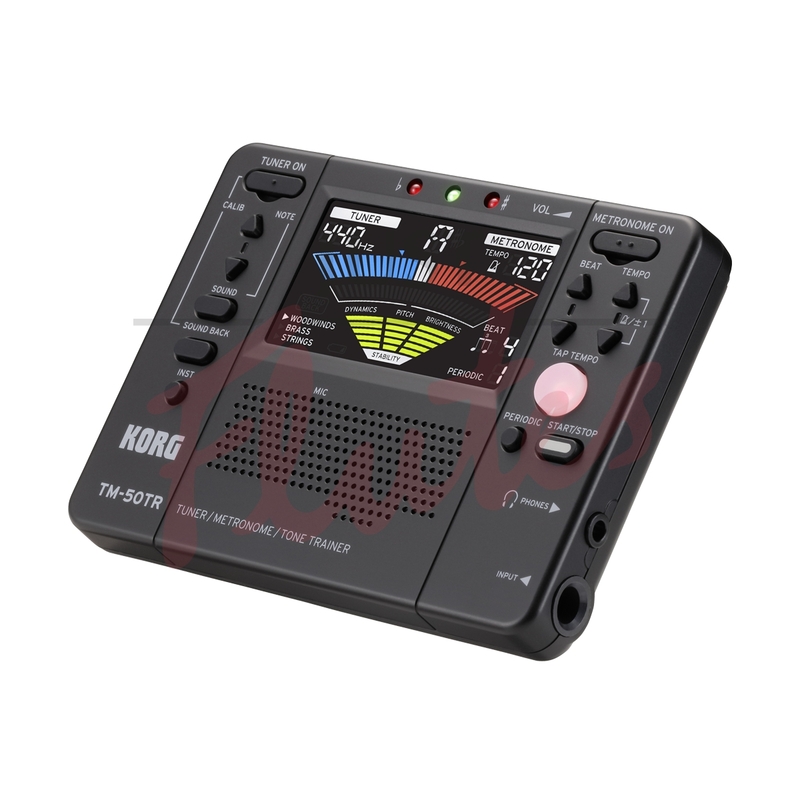 The display newly features a large color LCD for excellent visibility.